Did you know that the soundtracks to the shows and films we love hide a secret? Most are born out of stacks of paper overwhelming desks, dotted with Post-Its. They sprang from personal spreadsheets that only one person can find or navigate; from data entered numerous times into multiple spreadsheets, keyed into multiple software applications, and stored in multiple paper files. The problems begin to surface when involved in negotiations with little to no historical information to reference. In this world, mistakes can cost up to six figures and delays that mean payment headaches for writers, publishers, and music labels. 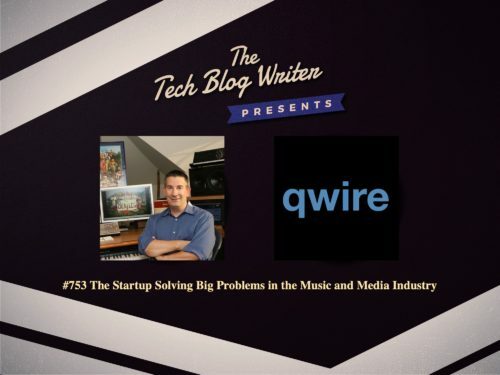 Qwire creates collaborative, cloud-based software that addresses significant problems with music licensing and royalty reporting common to companies working with music-for-picture, including some of the largest media companies in the world — film/TV studios, trailer houses, video game development companies, advertising agencies, and professional sports networks — as well as rights holders (e.g. music labels and music publishers) and Performance Rights Organizations. The company has received over $2 million in additional funding from current and new investors. This will expand the New York and Los Angeles-based company’s sales efforts and accelerate development and enhancement of its cue sheet reporting tools. I invited Scott Freiman onto my daily tech podcast to learn more about the story behind Qwire.